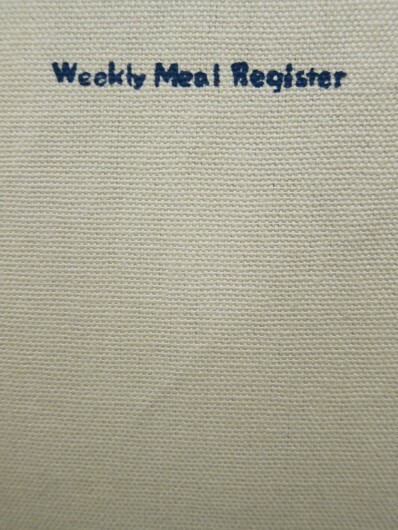 This edition is a small meal journal made of napkin cloth. The meal journal would be easily transportable to all your favorite restaurants or used in the comfort of your own home. 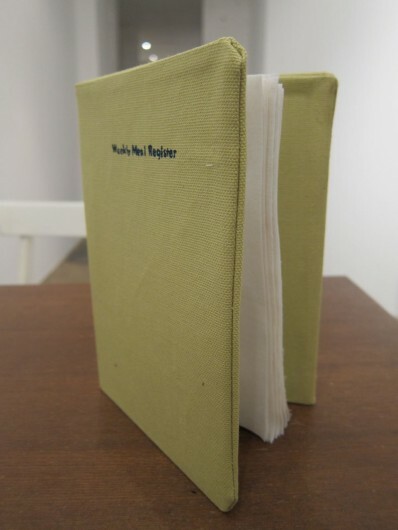 A napkin in book form, it sits open on your lap like a traditional napkin as you dine. It serves not only as a means to wipe your hands and face clean, but also keeps a record of each meal through the traces left after each use. The meal journal helps to remind us of the stories we make with our lives everyday, not only with our words but also through our most simple actions.